A full-fledged ‘Cinema Clinic’ has been operating for the past 15 years in the workshops of our museum in Lyon! 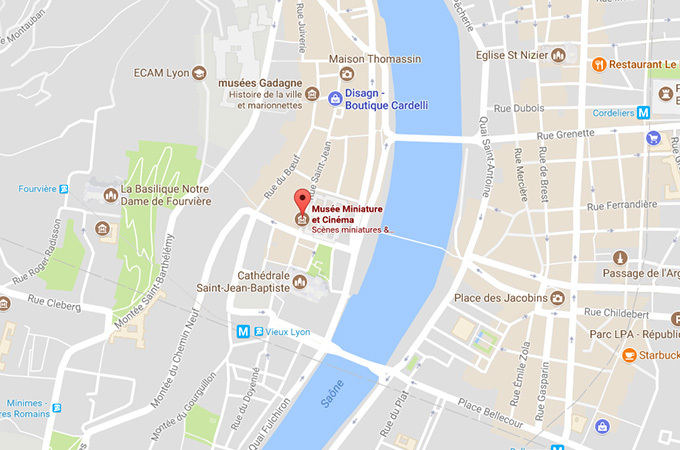 Above all, the Musée Miniature et Cinéma is a living place. As you visit the museum, peek in through skylights at our workshops, where artists restore iconic items from films each and every week. For years, the unique concept behind this ‘Cinema Clinic’ has appealed to film studios, film museums and a number of different directors who come here to have their rare film props and other objects restored after suffering the ravages of time. A key aspect of this process is that, with the consent of their owners, these newly restored pieces are always put on display for the benefit of our visitors. A giant praying mantis comes back to life before viewers’ eyes, a galleon 3 metres long gradually recovers its majestic sails… No latex sculpture can survive for more than 10 years, and it seemed that the gigantic Alien Queen from AvP would be no exception. It took many months of research to find a way to restore the latex body of this famous monster. Every month, pirate sabres, radio-controlled robotic animals, science fiction costumes and other one-of-a-kind film props are restored to perfect condition by the museum’s team of artists. This restoration policy is what allows for the frequent rotation of our collections at the Musée Miniature et Cinéma, providing visitors with a vast range of emotional experiences. Special effects experts who work full-time in the world’s biggest film studios come to Lyon to consult with our restoration professionals. These skilled technicians share their artistic talent and indispensable technical know-how to properly restore these immensely valuable items from real film sets. These restoration workshops for film props and other on-set objects are the only ones of their kind in Europe, and help to preserve cinematographic heritage.